I’ve been in a weird, restless, crafty mood lately. I have a lot of ideas half sketched out but I just can’t settle long enough to start anything big. 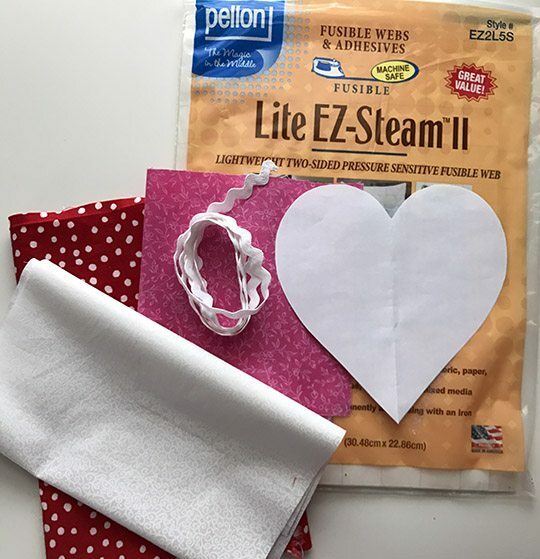 I realize these are REALLY last minute, but I pulled out some odds and ends and, inspired by this post on Designed Improvised, made myself some Valentine’s Day wall art. These were super easy. 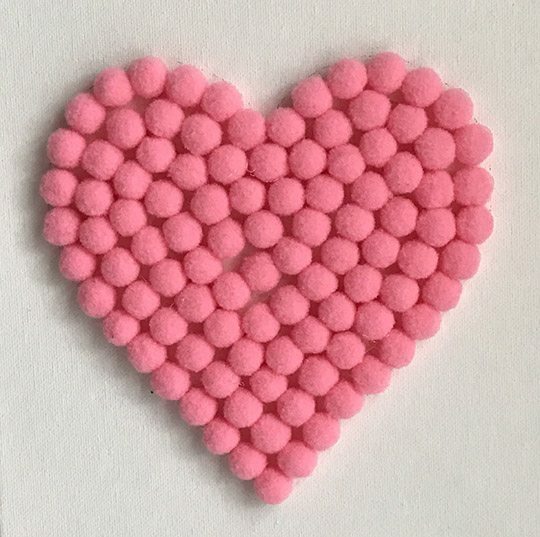 I used 8″ x 10″ canvases, drew a simple heart shape in the middle, and filled them in with supplies left over from other projects. 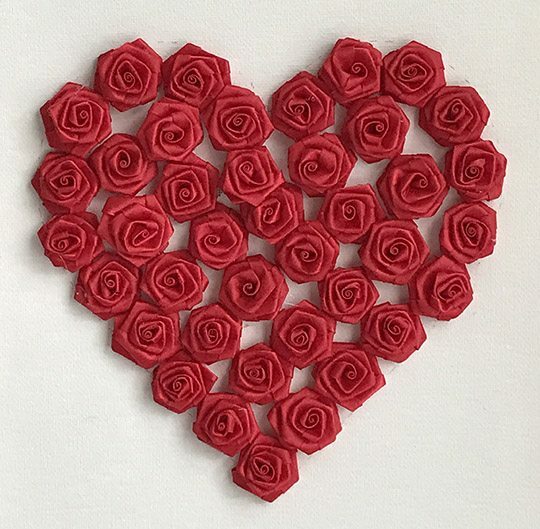 I used red ribbon roses, pink mini pompoms and red buttons, and made all three canvases in a little over an hour (not counting the time it took to pick all the hot glue strings off my fingernails). 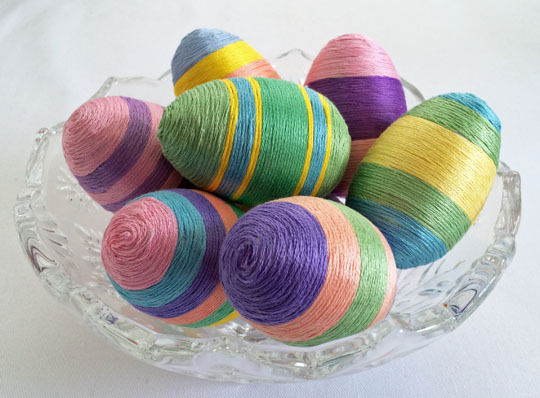 While I was searching for supplies for the canvases, I ran across a slightly warped 12″ embroidery hoop stashed in the back of my craft closet. 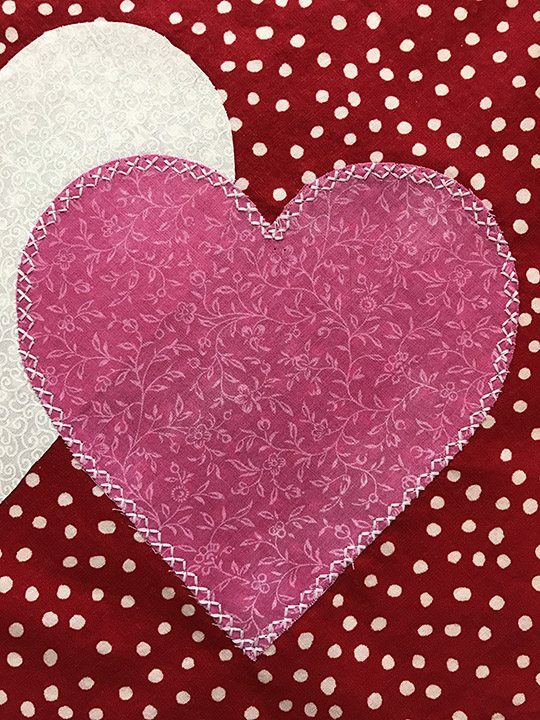 I pulled out some red, pink and white scrap fabric and used the same heart template I made for the canvases to cut out two heart shapes out of scraps. I backed them with some Pellon EZ Steam II, ironed them onto a background fabric and dressed them up with a little fancy stitching. I popped the whole thing into the embroidery hoop, hot glued some rickrack trim around the edge and trimmed off the excess fabric. Ta da! 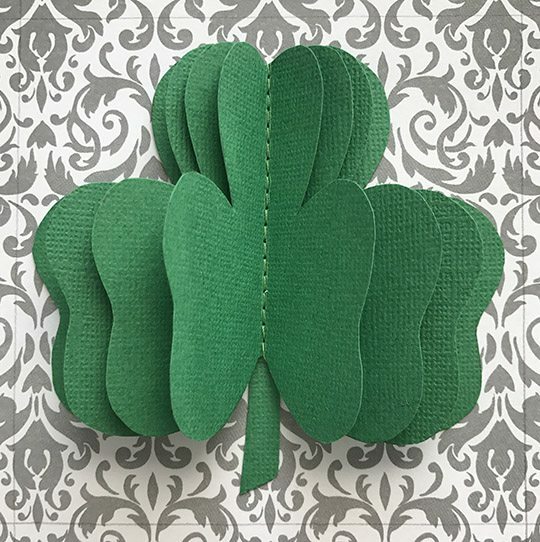 A cute little sortof-wreath decoration for my craft room door. 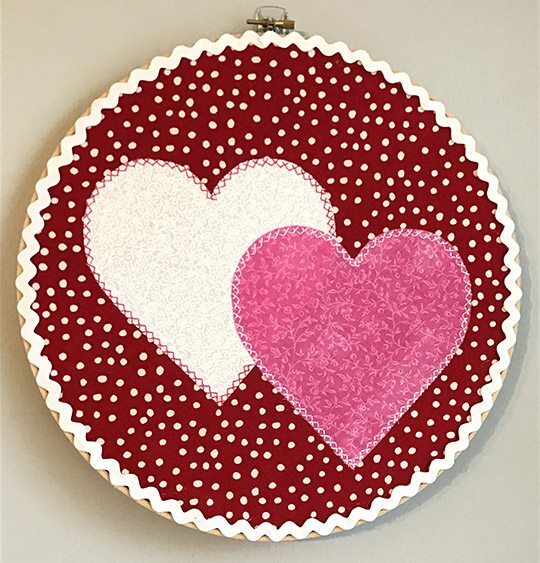 I had all kinds of cute Valentine projects pinned (check out a whole board full of ideas here) but, alas, just did not have the crafty mojo to pull them off in time for the holiday. Oh, well. There’s always next year!